Who do you like, and who likes you? 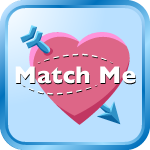 Find your perfect match in Match Me! Join MocoSpace and you'll be playing Match Me in no time!